Tell your story with the All About Me Book! 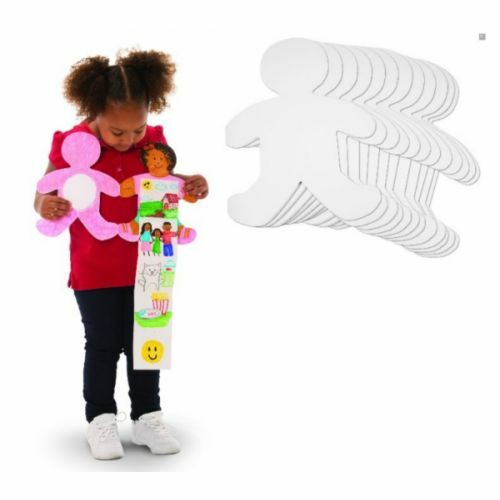 Each large kid-shaped book features 5 accordion-folded pages that students can use for writing and illustrating their stories. Color the front and back covers with crayons or markers and paste on clothing details with decorative paper. Includes: 12 books, 8½ x 11” and guide.